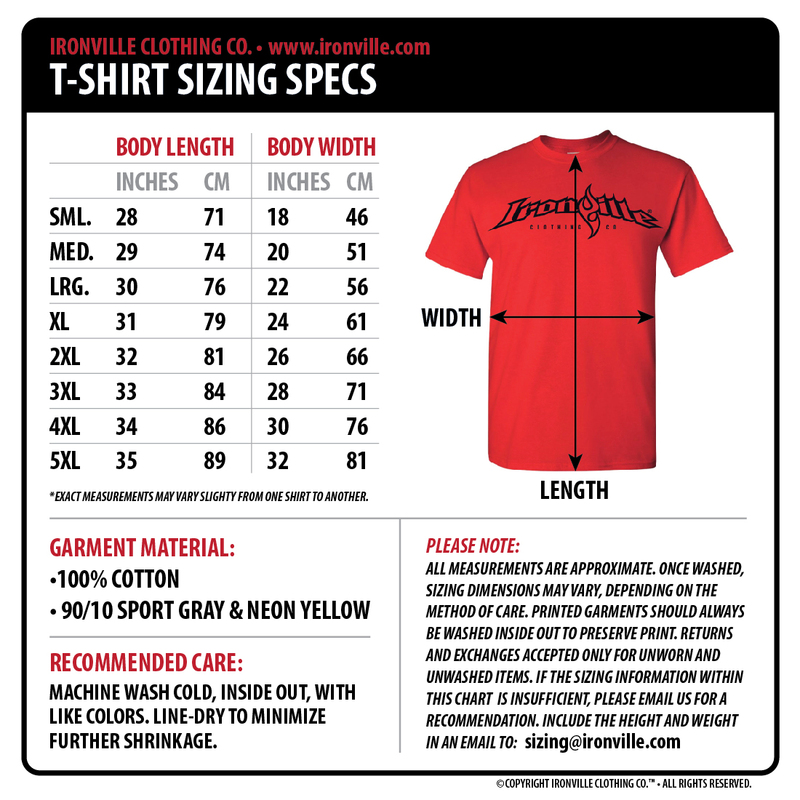 The Ironville Department of Corrections Prison shirt is big and bold, not unlike those who wear it. 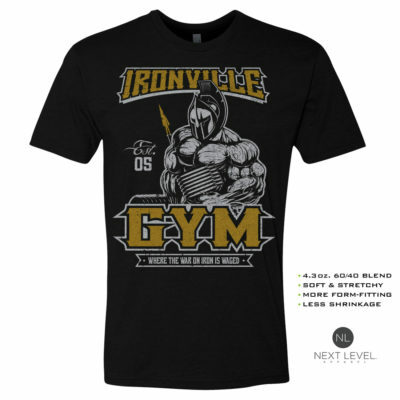 You need not be a diesel bodybuilder or beast of a powerlifter to rock this gym shirt. Great for Halloween.